The Erste Bank #glaubandich Scholarships at JAM MUSIC LAB Private University for Jazz and Popular Music Vienna. 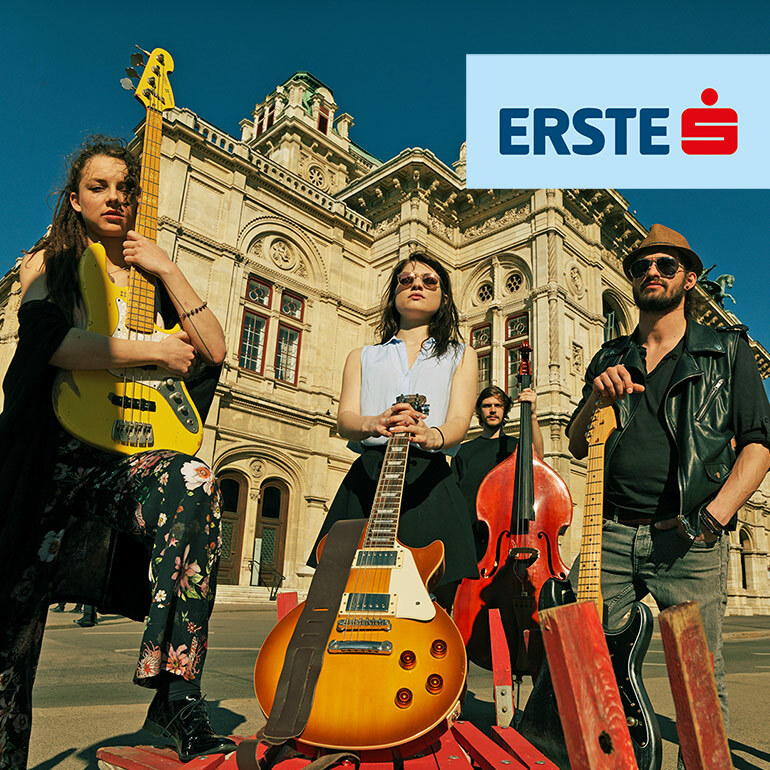 Erste Bank and JAM MUSIC LAB have banded together to support outstanding young artists in the field of jazz and popular music who want to pursue and study their musical dreams. Prospective students residing in Austria who are not older than 27 years of age (at the time of application), and who have the necessary formal study prerequisites, may apply. Prospective students of all disciplines (Bachelor and/or Master) may apply: instrumental, vocal, composition and theory, and media music. The application deadline is 30th January, 2019. After registration, a selection of the best applicants will be sent an audition date via e-mail. Optional: an unedited video with 2 to 3 significant musical performances of the applicant (preferably recording of a live performance, no professional image quality required, mobile phone recording sufficient). The auditions for the scholarship will take place between 11th and 15th February, 2019 at JAM MUSIC LAB Private University. The recipient of the scholarship will be chosen by an expert committee of the university. The recipient of the scholarship can study at JAM MUSIC LAB Private University immediately after the announcement, commencing in the 2019 summer semester.